US Open chiefs on Wednesday said they were wrong to sanction French player Alize Cornet for removing her shirt on court, an incident which saw the tournament accused of sexism and double standards. Cornet slipped off her shirt, revealing a black sports bra, after realising she had put it on back-to-front while off court during a 10-minute heat break before the third set of her first round defeat against Sweden's Johanna Larsson on Tuesday. However, there was a storm of criticism for umpire Christian Rask's decision to issue a code violation to 28-year-old Cornet while male players were free to change shirts on court to combat Tuesday's 38-degree heat. "All players can change their shirts when sitting in the player chair. This is not considered a code violation," said organisers in a statement issued Wednesday. "We regret that a code violation was assessed to Ms. Cornet yesterday. We have clarified the policy to ensure this will not happen moving forward. Fortunately, she was only assessed a warning with no further penalty or fine. "Female players, if they choose, may also change their shirts in a more private location close to the court, when available. They will not be assessed a bathroom break in this circumstance." The tournament was blasted for double standards over the incident, especially as it came just days after the French Open said it would ban Serena Williams from wearing her 'Black Panther' bodysuit again at Roland Garros. 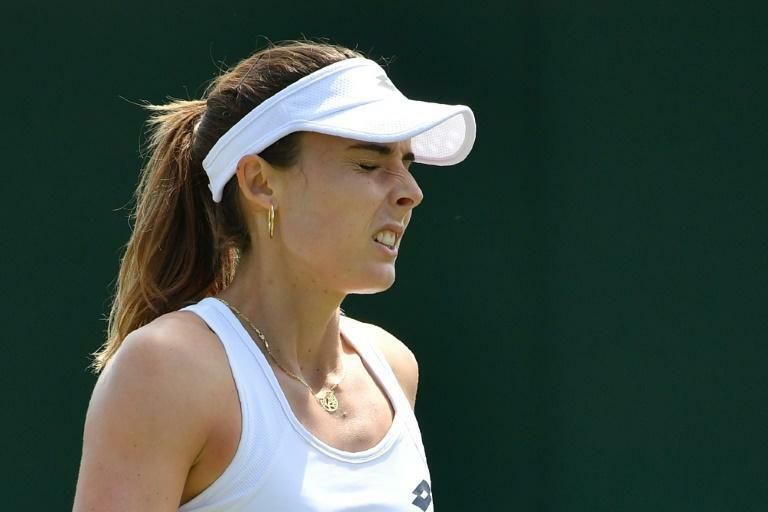 "Alize Cornet came back to court after 10 minute heat break. Had her fresh shirt on back to front. Changed at back of court. Got a code violation. Unsportsmanlike conduct..... But the men can change shirts on court," tweeted Judy Murray, the mother of former world number one Andy Murray and a leading coach and respected voice in the sport. The WTA said the code violation "was unfair and not based on a WTA rule, as the WTA has no rule against a change of attire on court". "If I would say my true feelings, it would be bleeped out, because it was ridiculous. It wasn't anything disrespectful," said the Belarusian after reaching the third round with a 6-1, 6-2 win over Daria Gavrilova. Last week, French tennis federation (FFT) president Bernard Giudicelli sparked claims of sexism when he banned Williams's black body suit from next year's Roland Garros. "You have to respect the game and the place," said Giudicelli who added there will be "certain limits" on clothing for the 2019 French Open.